This is the fourth post in a series on Smart Fiber Testing – see links to previous posts below. As more fiber networks are planned for deployment, providers are seeking ways to make fiber installation and maintenance more effective and efficient. In our experience, most fiber test times for installation and/or certification can be reduced by 50% when you focus on automation and streamlining workflow. What’s taking so long with fiber tests? The standard set of fiber certification tests usually includes Insertion Loss (IL), Optical Return Loss (ORL), distance, and OTDR characterization. To get an accurate birth certificate for a fiber these tests should be performed from both ends of the fiber. Often the measurement capabilities you need are spread across more than one test set; and even if you find a tester with all the features you need, the measurements are often implemented via separate test ports. This means that at some point, you are going to have to move the fiber under test from one device or port to another. In turn, this adds extra inspection and cleaning cycles. For a single fiber, the extra time may not seem like much, but multiply that by an entire bundle and minutes can become hours. Then there is the equipment setup. 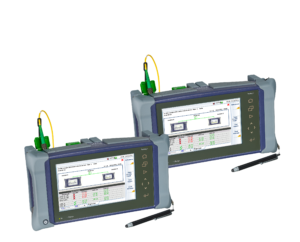 If you’re doing bi-directional OTDR testing – how do you ensure configs or test setups match at the near and far-end instruments? It’s critical that near and far setups match to give you matched test results. Otherwise it’s an apples-to-oranges comparison for tests made from each end of a fiber, which can be a real headache when it comes to matching up near end (A to B) results with far end (B to A) results. And adds to the difficulty of generating an accurate report. So where can you save time? VIAVI works with fiber technicians all over the world. We have a very good understanding of the challenge of getting fiber tests done quickly and with less hassle. 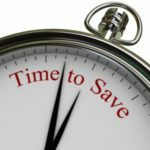 With our latest advancements, we focused on two key areas for significant time-savings: improved workflow and automation. One reason the module saves time is because all the testing is via a single port. You don’t have to worry about moving the fiber under test from module to module, port to port, or device to device. This eliminates all the extra inspection and cleaning cycles required when you have to switch ports. Secondly, the instruments (T-BERD/MTS-2000 or new 4000 V2) at each end communicate with each other using a second fiber or via the cloud over Ethernet, WiFi, or a mobile hotspot. The instruments exchange test configs to guarantee they are both setup the same way. This speeds the setup process and ensures matched bi-directional test results. A single button push starts a test and the instruments automatically jump from test to test (IL/ORL to OTDR in each direction) saving results as they go into a single file. No additional tech input is needed to manually start each test phase. File naming and incrementing are automated to manage the organization of results files. The final output is a single screen showing all results with clear pass/fail indicators. Lastly, direct on-board report generation gives you a valid fiber birth certificate in industry-standard formats which can either be taken off the instrument via USB or by syncing the unit with StrataSync. These automated, coordinated reports are also made instantly available from the cloud to anyone on your team with access. Test results and reports are also available on both units, not just the master unit. With FiberComplete, we vastly reduced the time, cost, and hassle of testing with multiple devices, managing multiple configs, and delivering accurate, complete reports. We virtually combined six instruments into one and then automated all the key tests. The result is that you can cut the time taken for fiber test and certification in half. And who doesn’t like to save time? Read more or get in touch with VIAVI about FiberComplete.